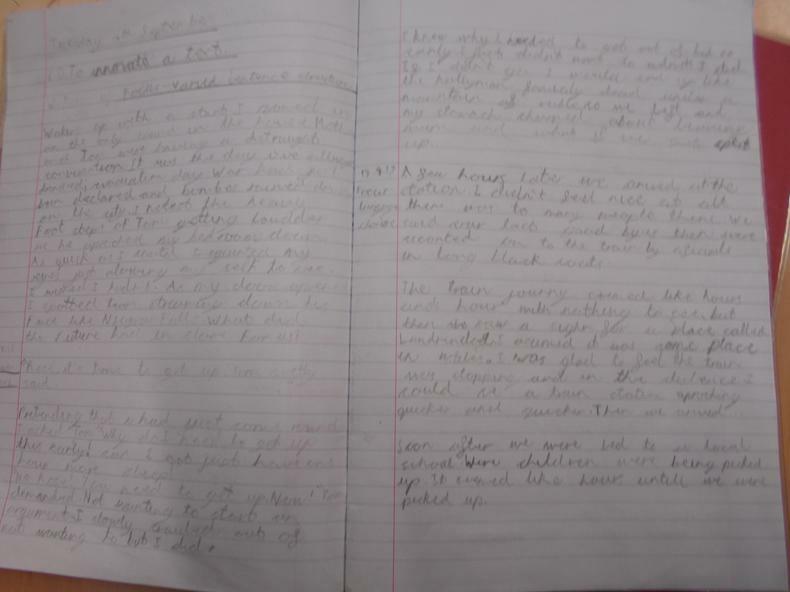 What great writing we are producing in Team 6 using the Talk 4 Writing process. 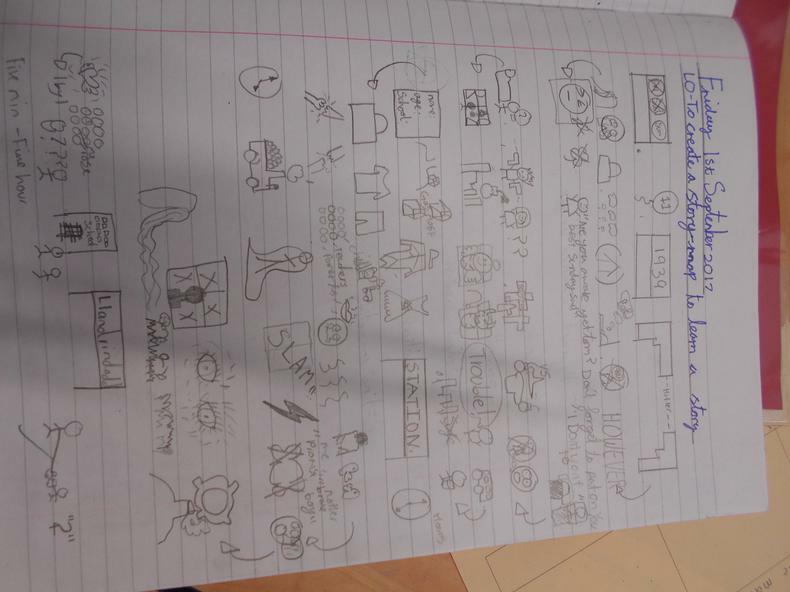 So far, the children has created storymaps to help them to learn the text, thought about what they can find out and infer from the story and made decisions about what to include in their Writer's Toolkits based on the features that they have found. 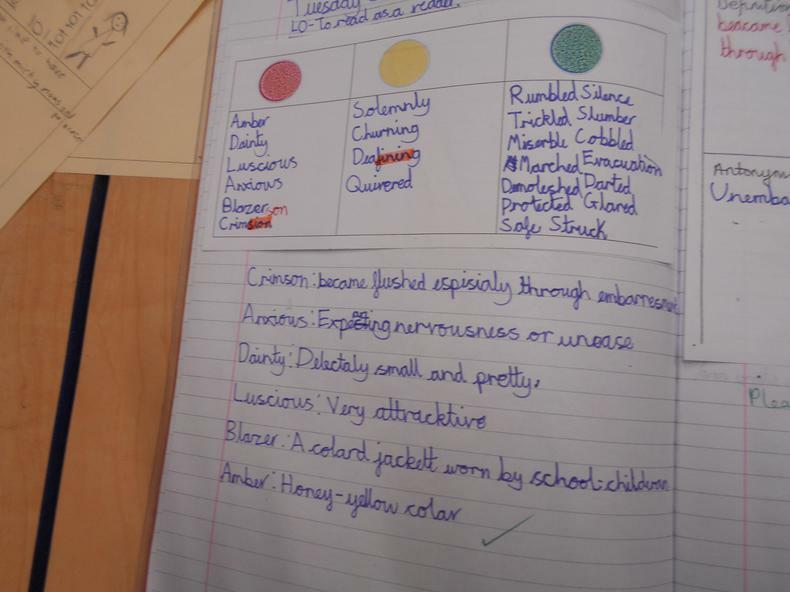 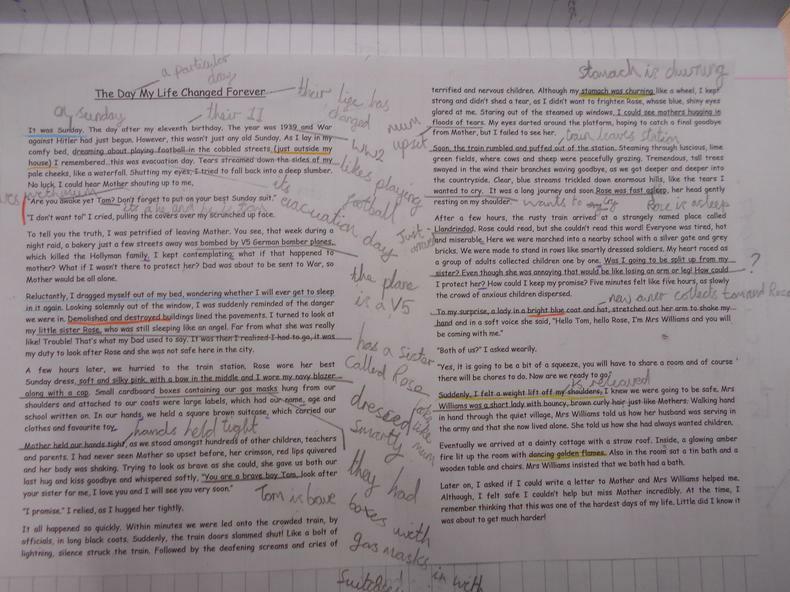 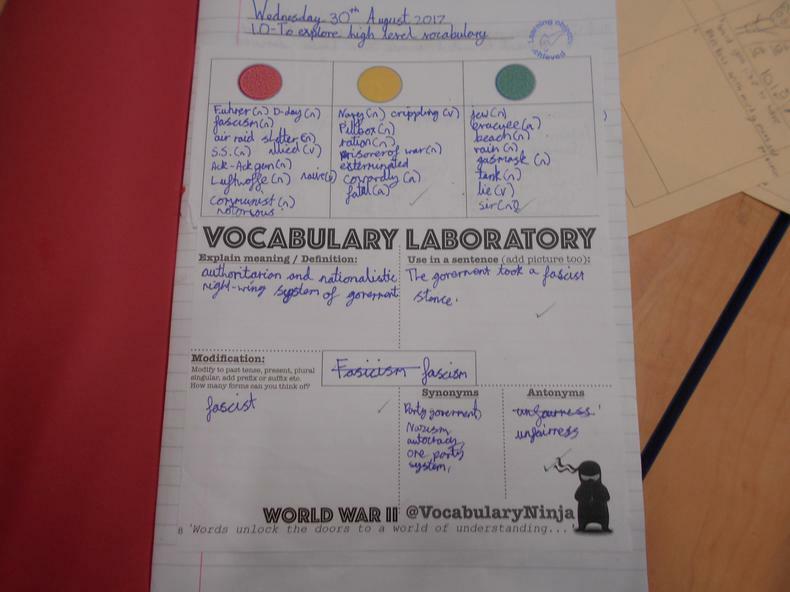 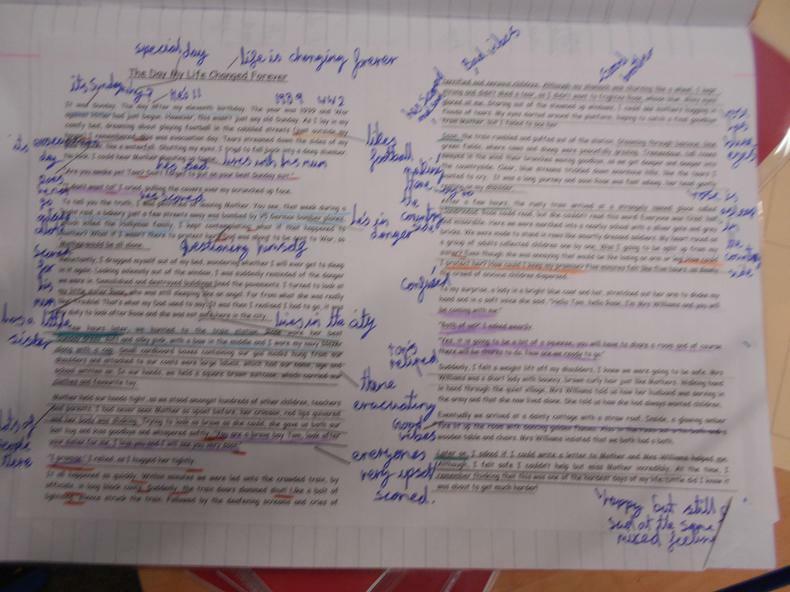 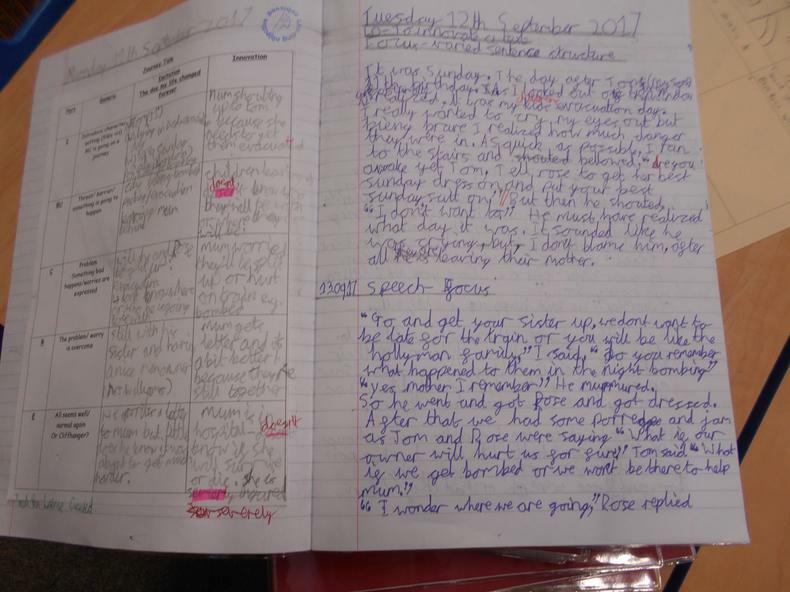 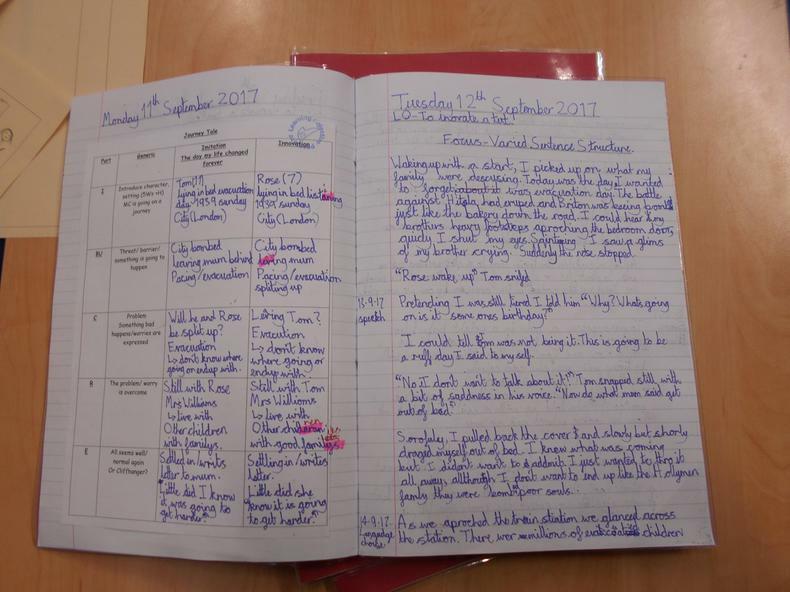 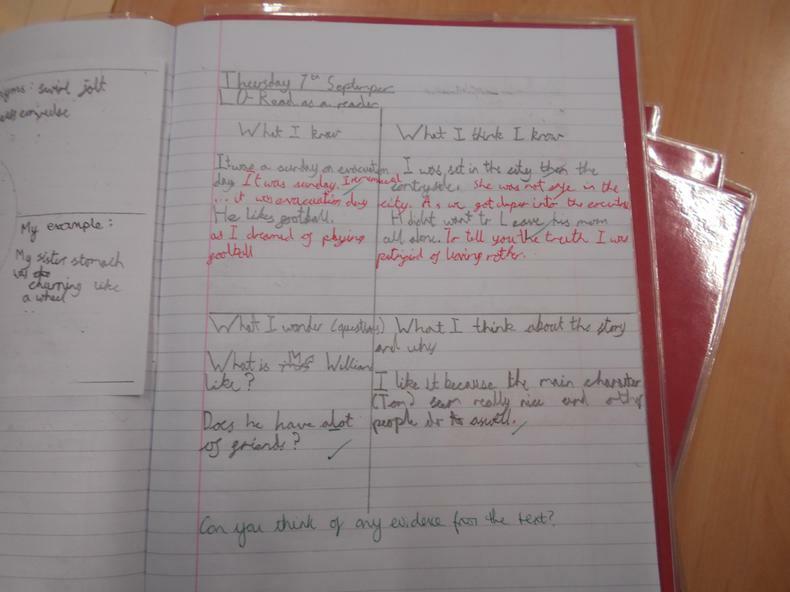 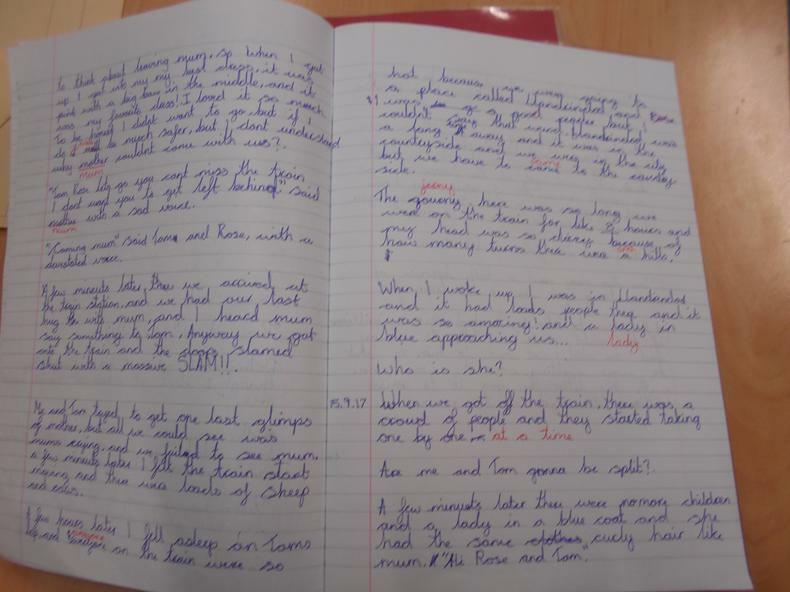 From this imitation stage, they have since gone on to produce some fantastic quality writing, innovating the text that they have learnt, changing it in some way (the writer's point of view) and putting their own twist to it. 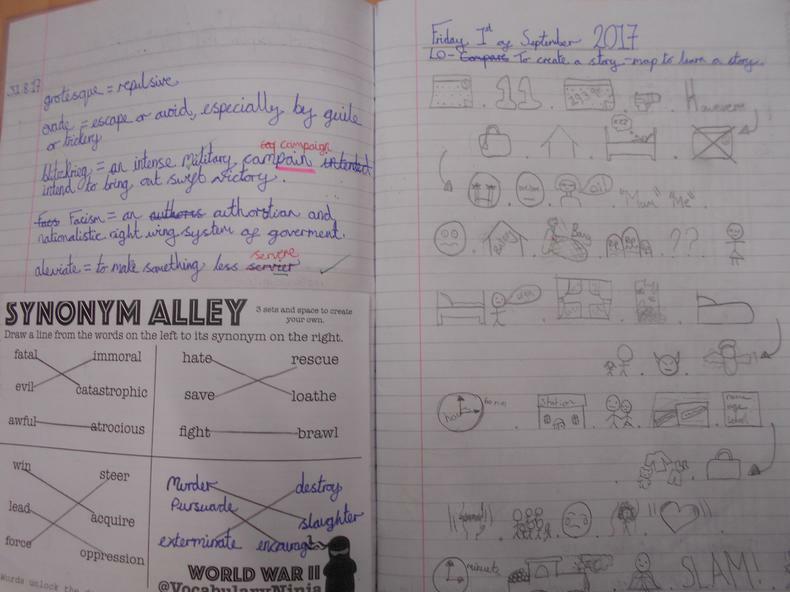 Next week, we will create our very own evacuee story using ideas they have picked up.